The World Cup is afoot and I caught the fever – in of all places, LA. Los Angeles Country Museum of Art (LACMA) hosts Futbol, an examination of football , or soccer as they call it here, and the issues of nationalism, identity, globalism and common human experience that the beautiful game engenders. Goaaaaall! Los Angeles is home to some amazing street art and artists like Kofie One, Homo Riot and Mear One. I hit up Melrose east of Fairfax and found Renta’s distinctive calligraphy and Alec Monopoly’s trademark Monopoly Man among the eye opening pieces decorating this thoroughfare. Hip budget boutique hotel in West Hollywood, the Farmer’s Daughter is centrally located, next to the Farmer’s Market and within walking distance to Sunset and Melrose. It also wants to become the centre of your social life. 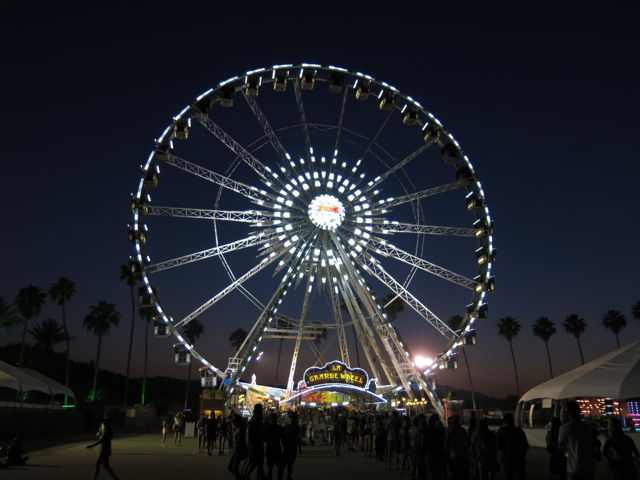 So you’ve snagged tickets to Coachella…. A bucket-lister for music lovers, you’ll want to make the most of your three days. Here are some tips I picked up at the world’s #1 music festival.